This entry was posted in Quilting/Sewing and tagged allison glass, arrows, blog hop, book, christa watson, crafty, fmq, free motion, giveaway, grunge, piece, precuts, quilt, quilting, scrappy, sun print by monkeyneedle. Bookmark the permalink. I think my favorite of all the quilts is Star Struck. But Arrows comes a close second. 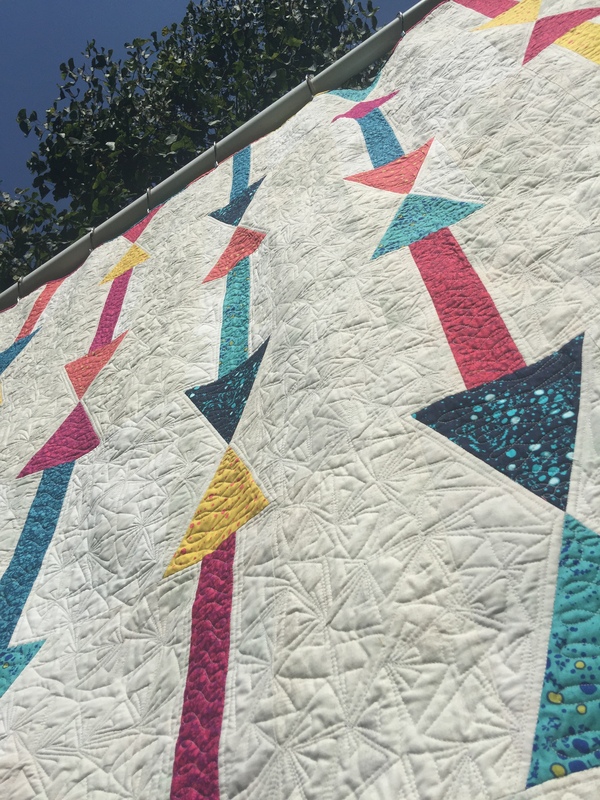 Would love to have the book and read (and try) all Christa’s free motion quilting suggestions. 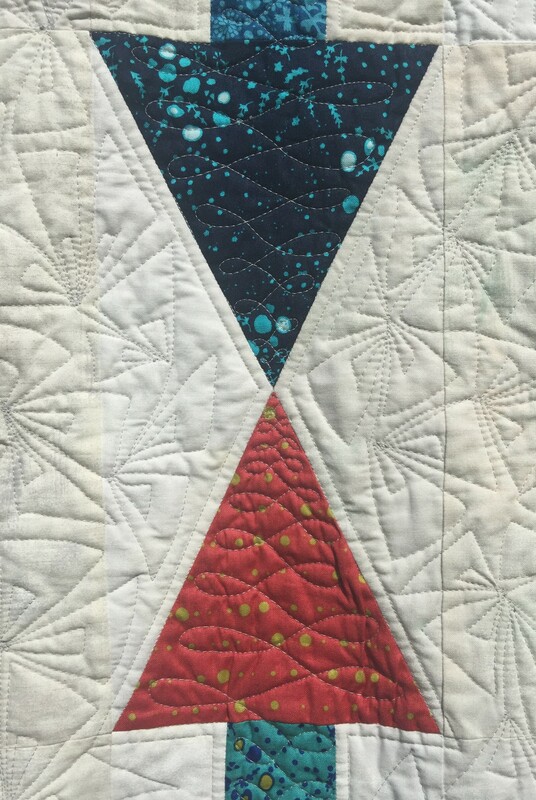 I love the star struck quilt too. I have seen several versions of it that I would like to snuggle up in. Squiggle is my favorite. However, I like your quilt and your color choices. Squiggle is a lot of fun! It was really hard to choose a quilt to make. Thanks for visiting. 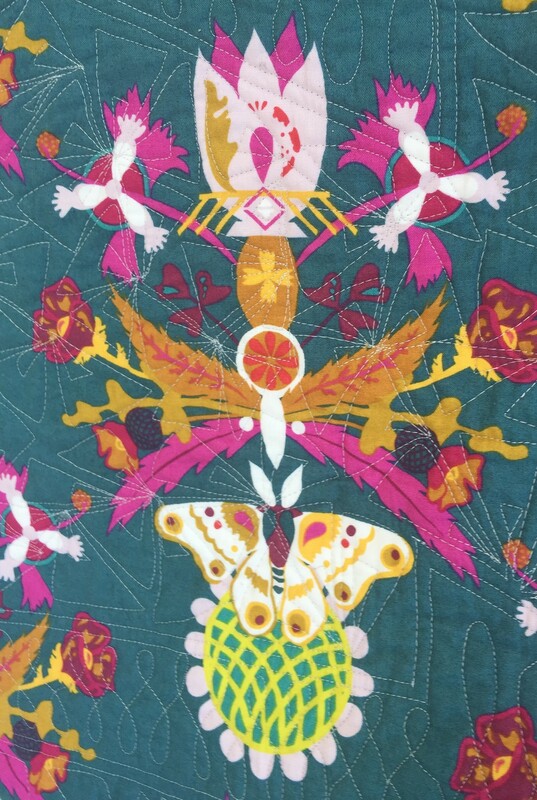 I like a number of quilts in this book and would love to get an e-copy. I’d probably start out with the arrows. I love your idea of using different white Grunges for the background. 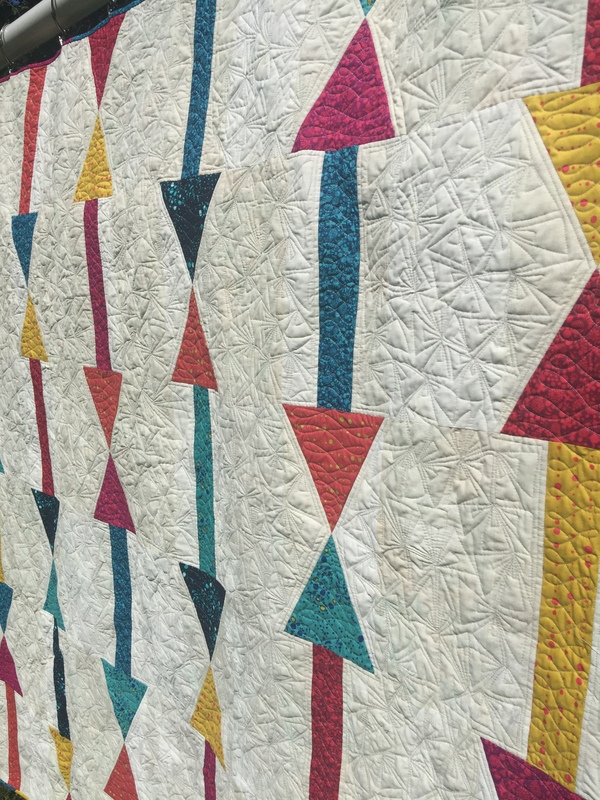 Oh, I so love a scrappy quilt! 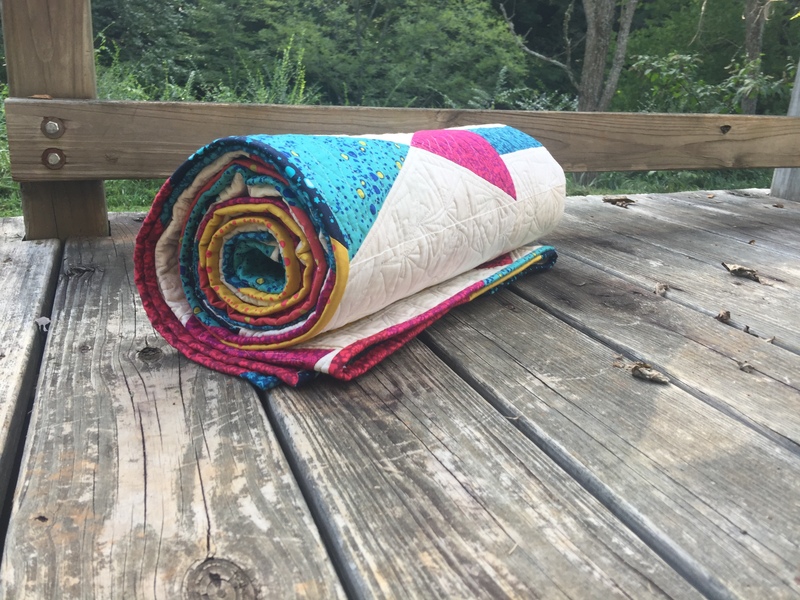 I made a scrappy log cabin right before I made this quilt. It was so much fun. My favourite is Dots and Dashes. I just like it! 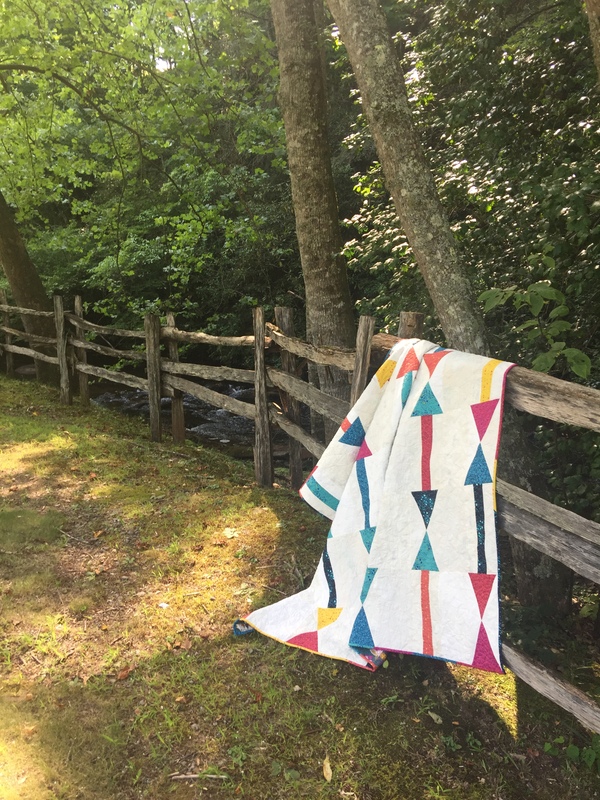 Dots and Dashes is a great quilt! Simple, yet with plenty of movement. What most attracted my attention was Starstuck. Sherri Noel’s version has stuck in my mind and I want to make it. All of the projects are just great and the inspiration has been tops. Thanks for visiting. You are the winner of the electronic copy of Christa’s new book. I have sent your email address to Christa and she will forward to Martingale Publishing. Look out for an email from them with a link to download the book. 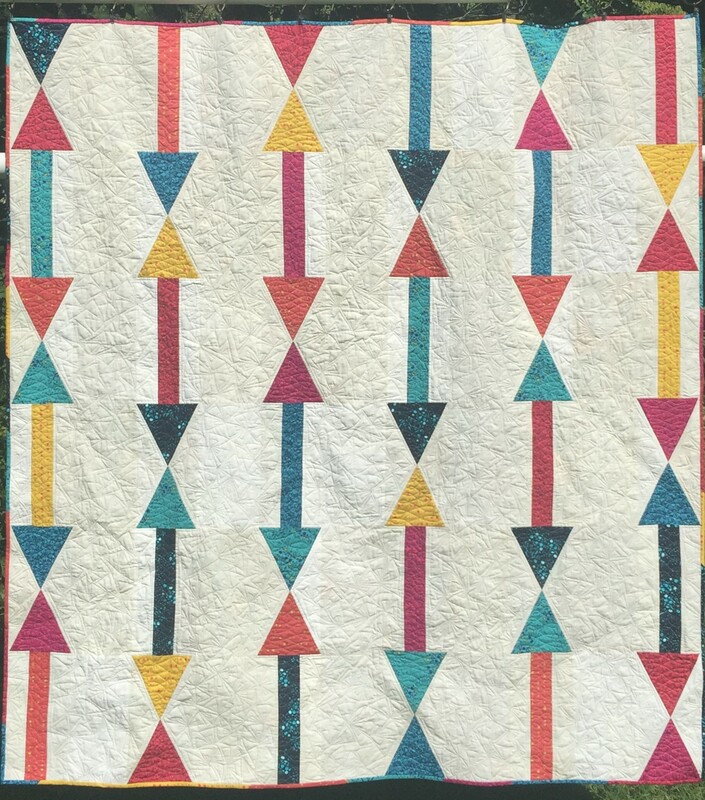 My favorite quilt pattern from Christa’s book is Kites! And it’s the biggest- not sure if I can quilt it myself!